Ford is planning to triple the number of cars it has on city streets and test tracks to research autonomous driving technology. The expansion will help the automaker accelerate its work on self-driving cars as it moves toward the goal of a mass-market auto featuring the technology. With the increase, the automaker will have around 30 Ford Fusion Hybrid cars running in California, Arizona, and Michigan. “This gives us the auto industry’s largest autonomous vehicle development fleet,” said Raj Nair, Ford’s chief technology officer, during a news conference at CES in Las Vegas. 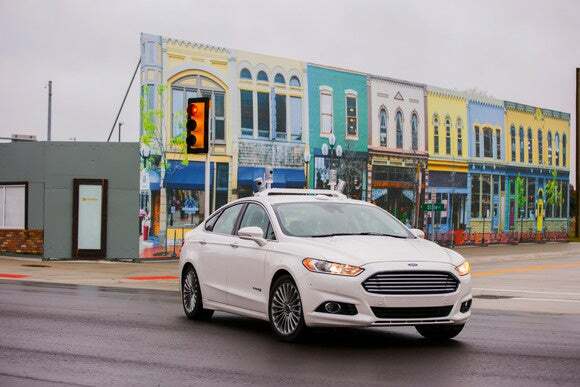 Ford started on-road testing of autonomous technologies in 2013, focusing on development of computer algorithms and sensing technology. Last year it became the first automaker to use the Mcity fake town, built by the University of Michigan for autonomous vehicle testing, and in December said it had gained a license to operate its cars in California. The company is concentrating a lot of its development work at its headquarters in Michigan and at a new research and development center in Palo Alto, California. 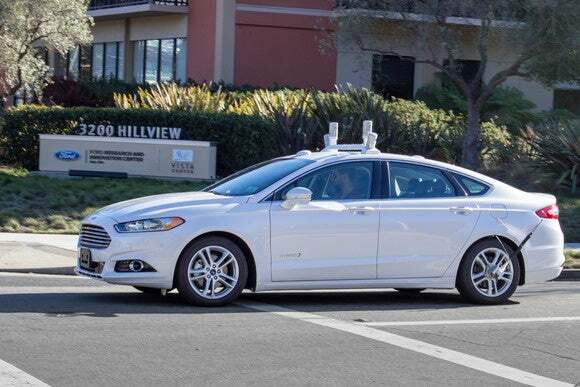 Ford’s entry into the state’s autonomous vehicle testing program should mean its cars will start being seen on the roads of Silicon Valley, where Google self-driving cars are already a familiar sight. In comparison to Google’s, Ford’s expanded fleet will still be small. Google has licenses for 73 cars in California. Autonomous cars are perhaps best recognized by the large LiDAR (light detection and ranging) laser imaging sensors that sit on the roof, often containing a spinning sensor that maps everything around the car. 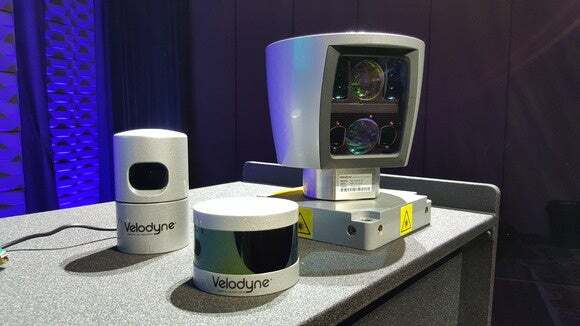 Velodyne is one of two leading manufacturers of auto LiDAR sensors and at CES is launching its third-generation sensor. The new sensor is small enough to fit in the wing mirror of a car, making it a much less obvious addition to a vehicle.